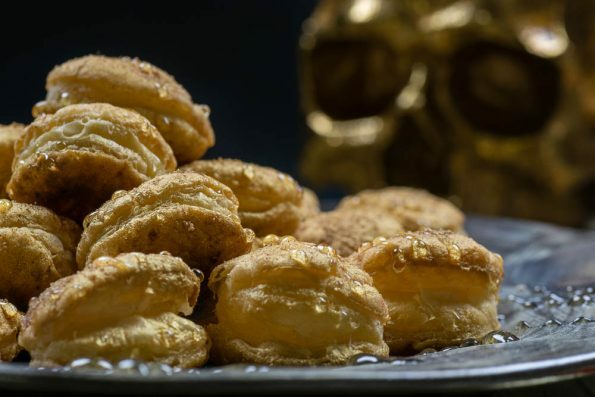 These Puff Pastry Pirate Coins are a Paid Promotion for Pirates of Caribbean: Dead Men Tell No Tales. 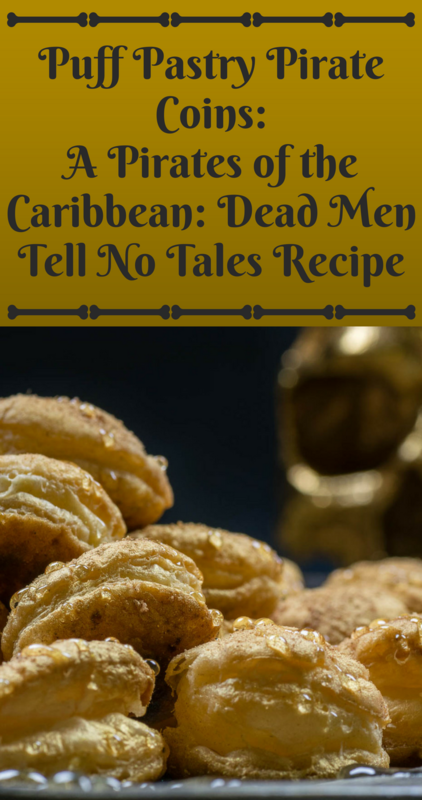 When Pirates of the Caribbean: Dead Men Tell No Tales first came out, we created a delicious smoothie recipe. However, when we were approached by Disney in regards to this film, we wanted to do more. This time we created a dessert so good, you’ll have to protect it like buried treasure! Also, not only are our Puff Pastry Pirate Coins delicious, but they are super easy! If you haven’t seen it, Pirates of the Caribbean: Dead Men Tell No Tales is definitely worth checking out. While it isn’t the best of the Pirates of the Caribbean films, it is not nearly the worst. Any Pirates of the Caribbean fan will enjoy the film. The special features on the Blu-ray are also great! Not only do you get the standard deleted scenes and bloopers, but you also get a ton of behind the scenes stuff! We really enjoyed learning about the creation of Salazar’s character and the effects used. The inspiration for our Puff Pastry Pirate Coins came from none other than pirate treasure! We also wanted to create a recipe that was easy enough for kids to get involved. Almost every step can be done by a child or with parental assistance. Gold food spray isn’t impossible to find but if you can’t get a hold of some, gold sugar crystals are a good substitute. 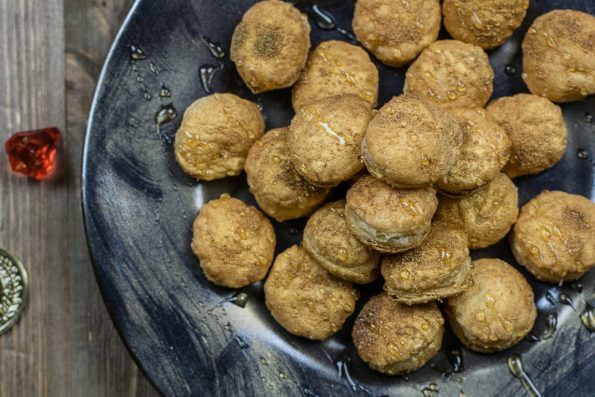 We hope you enjoy making this recipe with your little swabbies at home! Be sure to check out Pirates of the Caribbean: Dead Men Tell No Tales which is now available on Digital HD and Blu-ray! Thaw puff pastry per package instructions. Mix sugar and cinnamon, set aside. Roll out puff pastry on floured surface. Cut coins using a 1.5” round cutter. Place coins on parchment paper lined baking sheet. Sprinkle coins with sugar/cinnamon blend. Bake for 10-12 minutes depending on your oven. Spray with food spray and drizzle lightly with honey. *This is a Paid Promotion for Pirates of the Caribbean: Dead Men Tell No Tales; We were also provided with an advanced copy for research purposes. Images and title treatments were used with permission from The Walt Disney Company. All opinions are wholly our own. View our Disclosure Policy for more info.